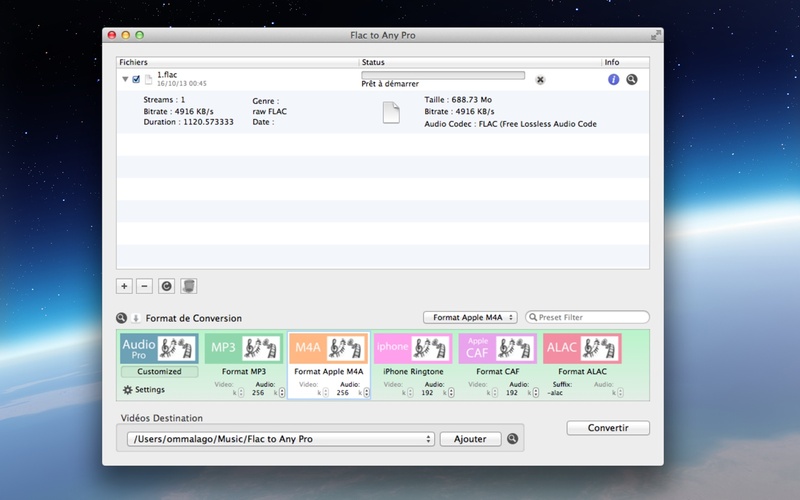 Flac to Any Pro is a powerfull audio converter. 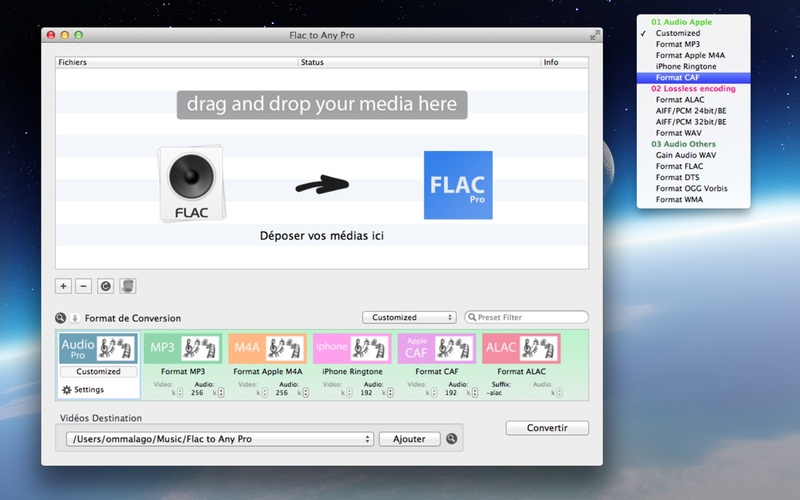 It allow you to convert your Flac file to any audio format. 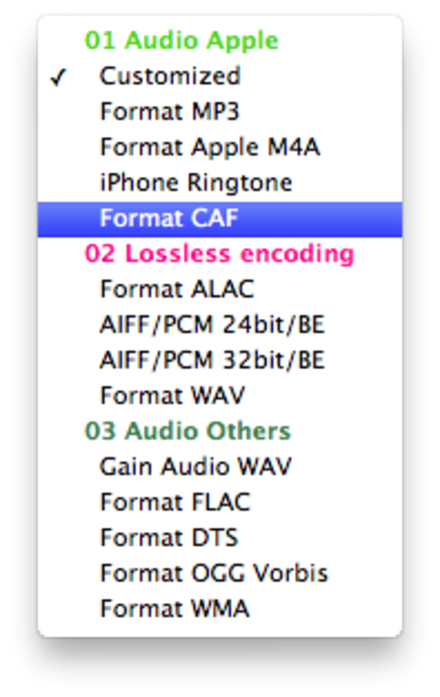 A large choose of preset is available for the output file format (mp3, aac, m4a, aiff, wav, …). 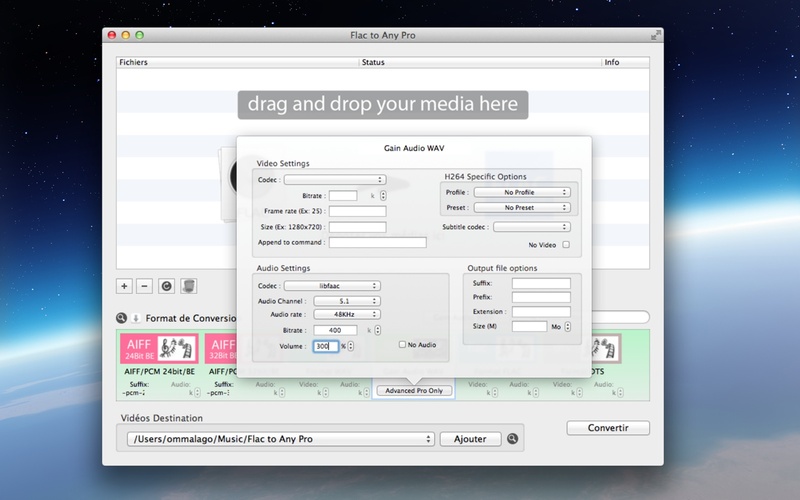 You can create iPhone ringtones from any of your FLAC file. Flac to Any Pro support HD Audio up to 192Khz/32Bit.